This year, our World of Difference service team will be traveling to Malawi, Africa to serve the people by building a school and working on permaculture-related projects. Each participant will bring with them 100 pounds of physical donations which will include items for local orphanages, medical supplies, medical textbooks, educational supplies, playground items and hand tools for the project, along with other items specifically needed in the village where we will serve. Malawi, located in southeast Africa, is the poorest country in the world. It is also one of the world’s least-developed countries. The population is rural and their economy is agriculture based. The Malawian government is striving to build and expand the economy, improve education and healthcare and become financially independent. Our service expedition team will leave on Wednesday, August 15 and return September 2, 2018. This is the fourth year returning to Malawi where we can Make a Difference in the lives of children and families we meet and where a difference is certainly made in the lives of all team members. For more information contact us. 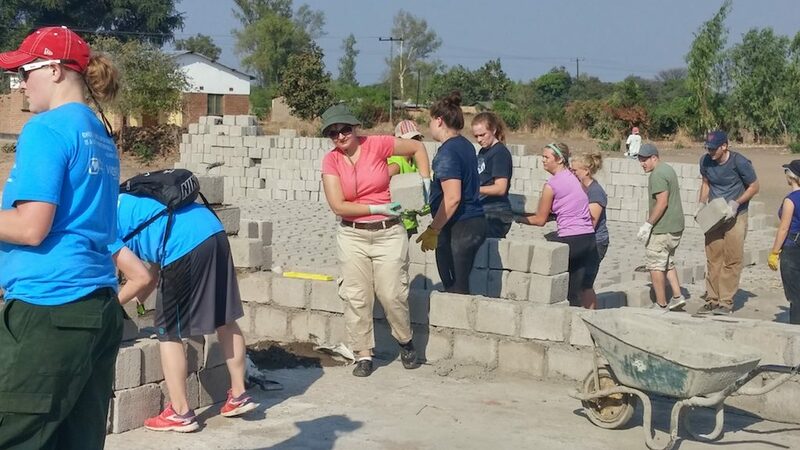 Two years ago our 2016 Africa team helped construct a Primary School in the Nasenga community in Mangochi, Malawi. That primary school was constructed from thousands of blocks that had to be made one at a time. This block building process began about three months before our team arrived. Our team members are seen hauling and laying some of these blocks during the construction process. A library was also constructed for these students and because it was constructed from tires, plastic water bottles, and glass bottles, it is known as the “Bottle Bottle Library.” We brought nearly 4,000 pounds of educational and medical supplies and materials with us to stock the library and school, along with donations for local orphanages. 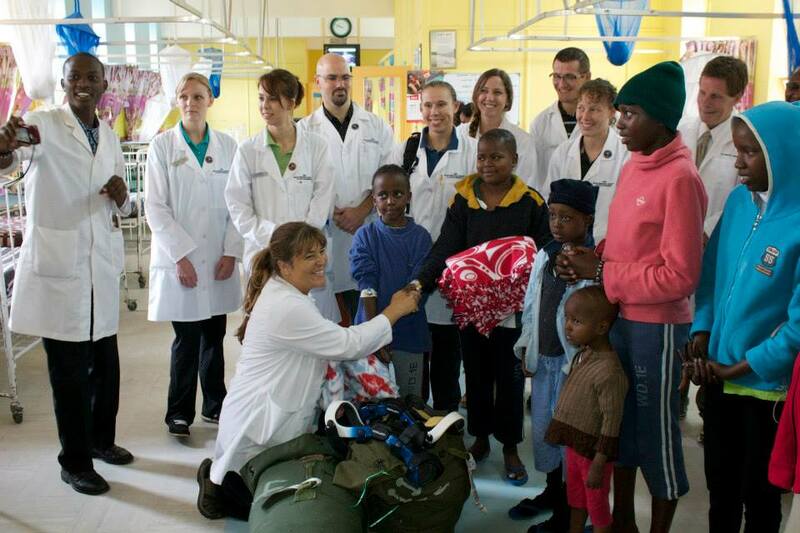 These donations included much-needed medical supplies and current medical textbooks. Also, our team built two latrine buildings with 8 private stalls for the girls and 8 private stalls for the boys. The latrine sump (about 25 feet long, 25 feet wide and 20 feet deep) was dug by three men working 15 plus hours a day with only shovels and a pick. That project was started three months before our team arrived and was not quite completed when the team showed up at the project site. To put things in perspective, it would have taken someone on a backhoe from the USA about 20 minutes to dig that sump. So grateful to be able to share resources where they are needed…How blessed we are!